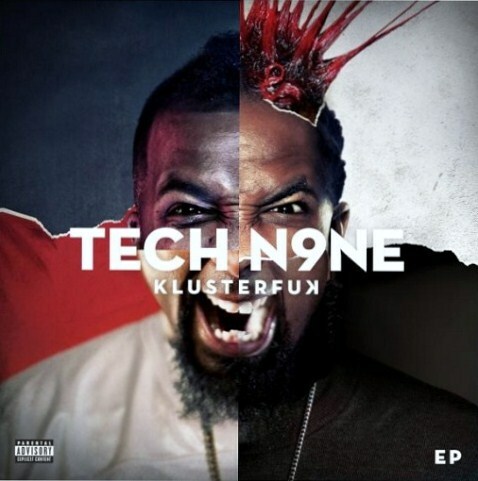 Tech N9ne’s highly anticipated KLUSTERFUK EP is now available on iTunes! The latest release from Tech N9ne takes listeners down a new path with brand new production from ¡MAYDAY!’s Plex Luthor, Gianni Cash, and Wrekonize. KLUSTERFUK also features appearances from Krizz Kaliko, Aqualeo, and Wrekonize and includes the hit single, “Blur”. Venture deep into the KLUSTERFUK that is Tech N9ne and get your copy on iTunes now!